​April 15 will always remain one of the most sombre days in English football. On this day in 1989, 96 Liverpool fans went to enjoy an FA Cup semi-final tie with Nottingham Forest at Hillsborough, but tragically never made it home. Liverpool and Chelsea conducted an impeccable minute of silence ahead of their game on Sunday as a tribute to those who lost their lives, and special mosaics were held aloft to show that English football has not forgotten those who lost their lives. Even before the game, fans of both teams flocked to the memorial at Anfield to leave flowers and pay their respects. Players from both ​Liverpool and ​Chelsea wore black armbands throughout the game. The entire city of Liverpool will fall silent as 15:06 - the time of the disaster 30 years ago - as a mark of respect for the 96 lost lives. 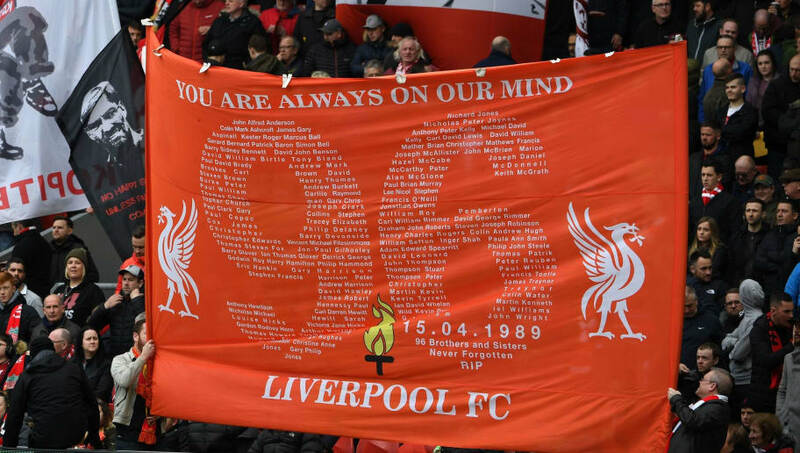 Liverpool mayor Joe Anderson ​said: "The 96 have never been forgotten and even though this city is divided by our footballing allegiances, we have been united in supporting the families and Hillsborough survivors for the past 30 years, and will continue to do so." However, as former ​Chelsea star Pat Nevin was quick to remind, more than 96 lives were irreparably damaged on that day. Many survivors still struggle to come to terms with the mental and physical wounds of the incident. Those who died may dominate the headlines, but the world of football came together in solidarity for each and every victim of the tragic events. The Reds marked the occasion with an impressive 2-0 victory, which sees them jump ahead of ​Manchester City in the ​Premier League table, and fans are desperate to see their 29-year wait for a league title come to an end.